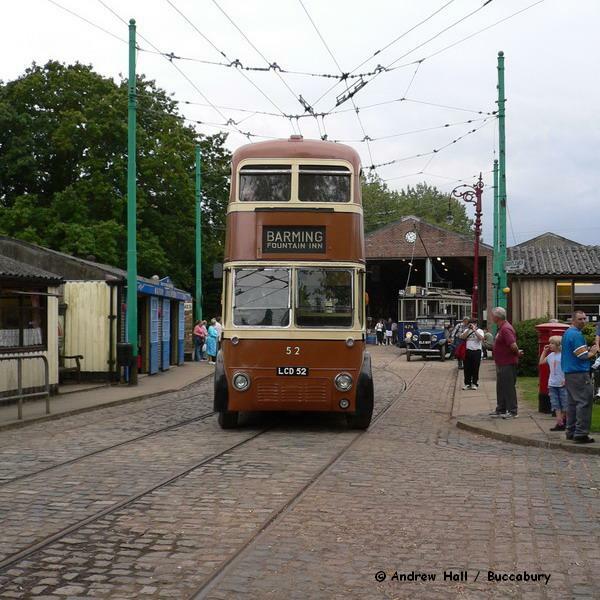 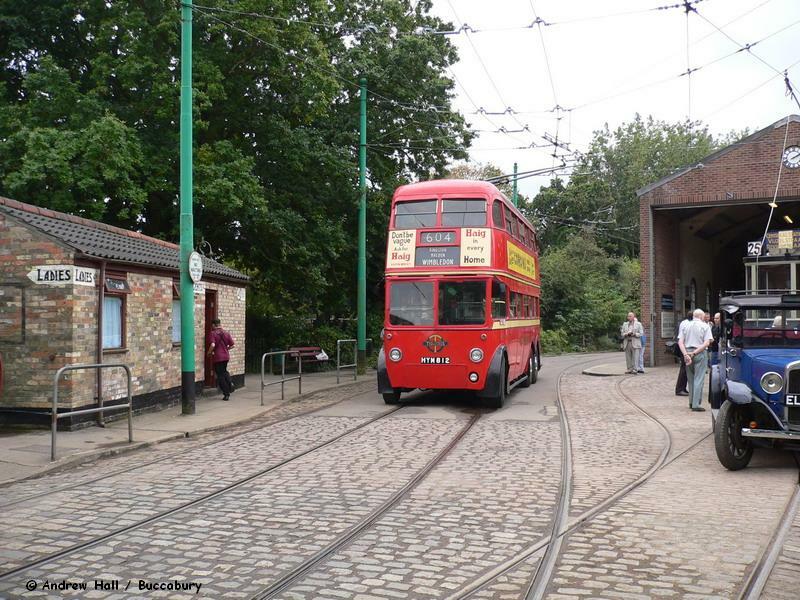 East Anglia Transport Museum - By the Book & Souvenir Shop. 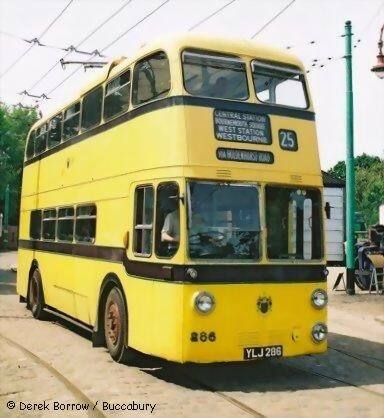 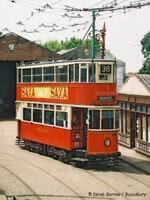 Ex-London Transport 'HR2' Tram 1858 passes the shop having just left the Chapel Rd Terminus. 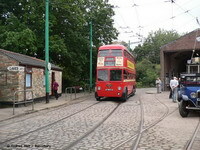 approaching the Chapel Rd Terminus. 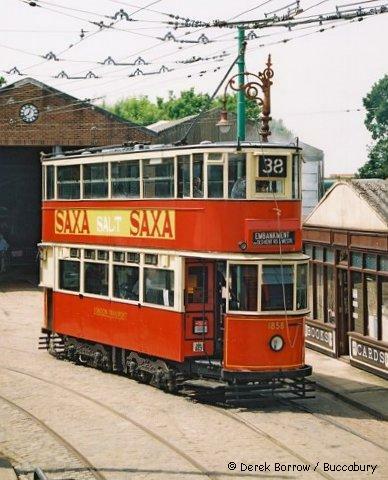 Visiting Ex-London Transport 'Q1' Trolleybus 1812 approaches the shop heading towards the Chapel Rd Terminus. 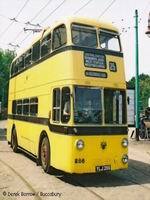 Ex-Maidstone Corporation Trolleybus 52 approaches the Chapel Rd Loop.